You knocked out last night and forgot to wash your hair, but you’re hair is greasy and you’ve still got to go into work. How many times have you been in a hurry similar to this and needed to wash your hair but didn’t have the time? Did you ever wish for a convenient way to freshen up your hair without all the extra hassle? This is where dry shampoo comes in. Dry shampoo is a quick and easy way to make your hair look nice. But why pay department store prices when you can save money and make a healthy, homemade version yourself? 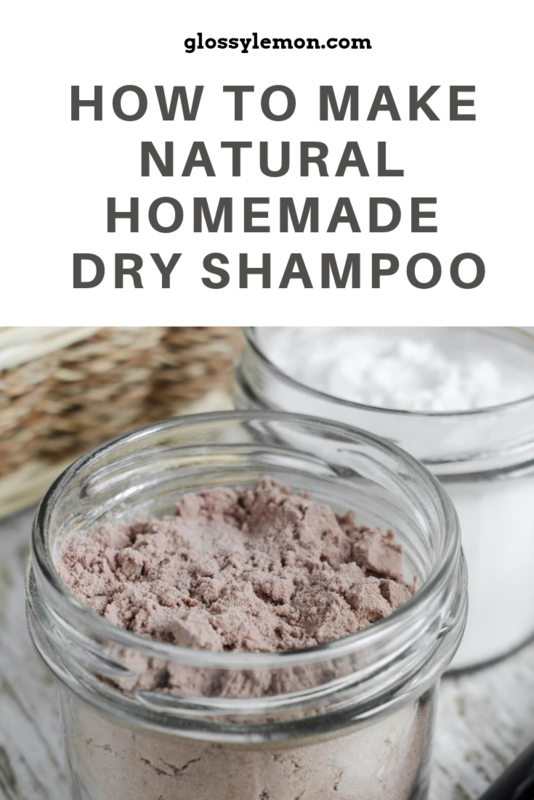 Here’s my simple dry shampoo recipe. It only uses two ingredients! 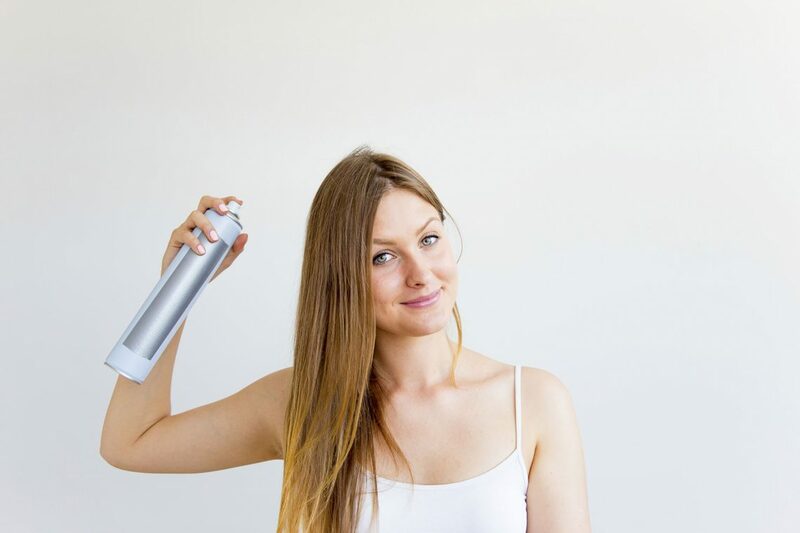 Dry shampoo is a type of shampoo that is usually sold in an aerosol can. It’s called “dry” because it water-less and comes in a power form. It it often made from rice or corn starch. Dry shampoo is usually used to reduce hair greasiness between washes. 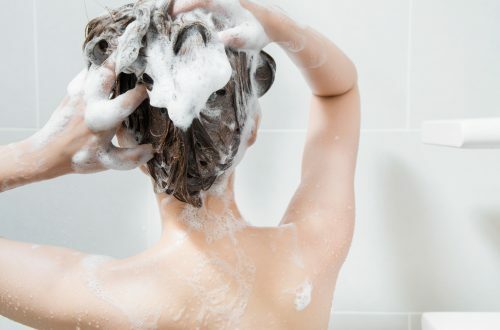 It has become popular lately, because washing with traditional shampoo has been found to be damaging for hair. Fun fact: Dry shampoo was first sold in the 1940s, but it was created way before that. In the late 15th century, people in Asia used clay powder in their hair. Dry shampoo was first referenced in the late 1700s when starches were used to deodorize and maintain wigs. How often can I use dry shampoo? Knowing how often to use dry shampoo depends on how fast your hair produces oil and sebum. If your hair is oily and you usually have to shampoo everyday, you can use dry shampoo every other day. If you usually skip a day or two been shampoos, you can probably use dry shampoo for two or three days in a row. After three days, shampoo like normal. The important thing to note about using dry shampoo is that proximity is important. Spray the product to close to your head and it won’t be evenly distributed. Spray it too far and you’ll waste product. Six inches is a good distance to hold the bottle when using dry shampoo. Remember not to use too much product. Too much dry shampoo will make your hair look dull, so apply in smaller quantities first. After applying, let it sit on your scalp for a few minutes. It will absorb the oil. After this, brush out or blow dry the excess. Also, NEVER use dry shampoo on wet hair. It will make it your hair look gooey and sticky. Dry shampoo became popular in recent years because it’s a great, low maintenance way to extend time between washes. A quick spritz of dry shampoo can make oily hair look great after a workout. Dry shampoo is also great for long flights or evening dates because it adds fullness and texture to hair. Another plus is that you won’t have to go out with wet hair which is great in the winter. Before you start, you’re going to want a small, air-tight container like this one to put your dry shampoo in. Making dry shampoo is actually VERY easy. All you need is 2 ingredients! The lavender is optional, but it makes your hair smell great! What if I want a different formula? Here are somethings that you can use if you want to try out a different formula. Making the dry shampoo is VERY simple. I have dark hair, so I took the cocoa powder and blended it in with a few drops of lavender essential oil. If you have blonde or light hair, use the arrowroot powder in place of the cocoa powder. This will ensure that the dry shampoo won’t be as visible if you happen to leave some on your hair. I then sprinkled the mixture onto my scalp and hair roots. You can apply it with your fingers or with a clean makeup brush. Just make sure to apply it evenly. After this, I let it sit for a few minutes before styling. This lets it do it’s thing and get rid of any excess oil. I then blow dried it out of my hair. You can also brush it out if you don’t have a blow drier. Congratulations, you’ve just made your own all-natural healthy dry shampoo! Love this post? Pin it for later so you don’t lose it!